your mountain bike potential and get you hooked on dirt. 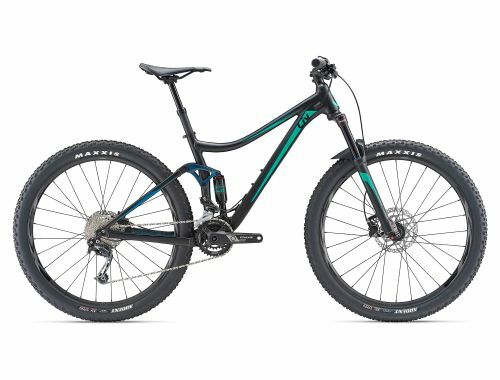 With an active feel, ample traction and powerful disc brakes, this bike encourages you to go out and ride it, because you know Embolden’s got your back. Fit | Form | Function. Liv's team of engineers uses this design philosophy to produce a bike the performs best for the female rider. Embolden comes in a wide range of sizes to offer the best fit for every woman. Embolden features 120 mm of front and rear suspension, utilizing the single pivot FlexPoint Suspension System, putting to use the flexing elements of the chainstay and seatstay to eliminate complex pivots and linkages to provide efficiency, light weight and durability that is easy to maintain. Components like wider handlebars, dropper seatpost and 1X drivetrain mean there is no compromise when it comes to performance.